Notes on a conversation in the summer of 1977, when the philosopher made an impromptu visit to the NLR office. Wide-ranging discussion on Althusser’s relations with the PCF, the condition of Marxism, the Chinese and Russian revolutions compared; Trotsky, Sraffa and the problems with Gramsci’s concept of hegemony. David Kotz: End of the Neoliberal Era? Prognosis for the US economy, after a decade of unprecedented monetary stimulus. Does the distempered character of the recovery—soaring profits, feverish asset prices, anaemic wage growth—signal a structural crisis in the existing regime of capitalist accumulation, and transition to a new institutional framework? If speech can—in the famous argument of J. L. Austin—not only be true or false, but also do things, what about economic models? And what about when models go wrong, or actually undermine their own assumptions? Black–Scholes, gamma traps and gaming—a typology of the perverse effects of some key financial tools. Dylan Riley on Heinrich August Winkler, The Age of Catastrophe. ‘The West’ as normative construct—and narrative telos—in a moralizing account from Berlin of the 20th century’s wars and revolutions. Zöe Sutherland on Marcus Verhagen, Flows and Counterflows. Comparative survey of how contemporary artists have engaged with the invisible dynamics of globalization through their work. John Grahl on Philippe Askenazy, Tous rentiers! Contra Piketty’s fiscal prescriptions, a French economist’s recipe for reducing inequality through re-mobilization of labour and critique of ‘propertarian’ ideology. 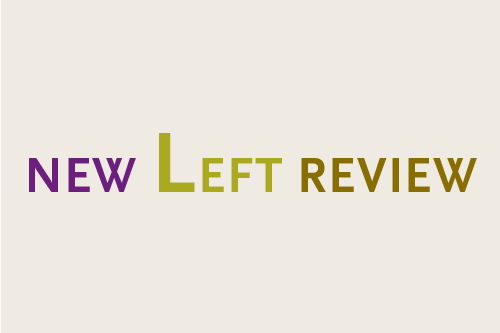 To read or subscribe visit the New Left Review website. NLR is also on Twitter.